A recent upsurge in insurgent activity in Kashmir likely explains Pakistani and Chinese reluctance to crackdown on internationally designated militant Hafez Saeed and the network of groups that he heads. So does the fact that Mr. Saeed and Lashkar-e-Taiba, an outlawed, India-focused ultra-conservative Sunni Muslim group widely seen as one of South Asia’s deadliest, have assisted Pakistani intelligence and the military in countering militants like Tehrik-i-Taliban Pakistan, the Pakistani Taliban, that have turned against Pakistan itself. Lashkar-e-Taiba has also been useful in opposing nationalist insurgents in Balochistan, a key node in China’s Belt and Road initiative. The China Pakistan Economic Corridor (CPEC), a $50 billion plus China investment in Pakistani infrastructure and energy, is the initiative’s single largest cost post with the Baloch port of Gwadar as its crown jewel. The outcome of the current fighting season in Afghanistan, which started early in the spring and will end before the first snows cover the mountain passes, is decisive for the Trump administration because the premise of the new US strategy in Afghanistan centers on pressuring the Taliban and compelling them to the negotiation table. However, the Taliban have adopted a counter-strategy to resist the US mini-surge and prove that they will not relinquish their military pressure and will thus force the US to negotiate on their terms. At least six aircraft carriers need to be built by China to safeguard national security and protect interests overseas, said Chinese military expert Liang Fang, after China's second aircraft carrier completed initial sea trials on May 18. 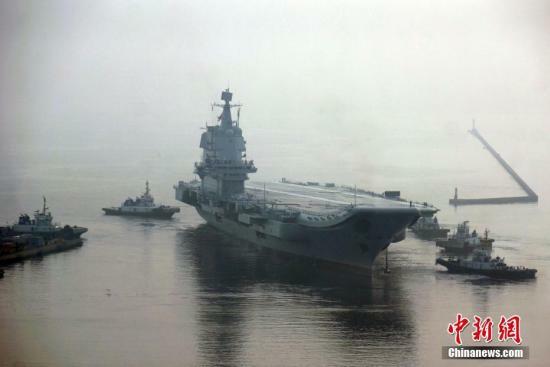 China's second aircraft carrier in sea trials The aircraft carrier, which is the first to be built domestically, returned to dock at Dalian Shipyard in northeast China's Liaoning Province on May 18 after the five day trial. Liang disclosed that based on the development of the aircraft carrier, it won't be long before another is developed by China. Liang pointed out that as China has a long coastline, the country needs to build at least six aircraft carriers along with several aircraft carrier battle groups to safeguard national security and protect interests overseas. Is the Trump administration losing the China trade war? Donald Trump once claimed a trade war with China would be “easy” to win. But consensus is emerging that the president is losing the first battles. His team has been trying to hash out a deal to boost US exports, but multiple rounds of negotiations have yet to yield progress on key priorities, like protection for US intellectual property. Now the conflict has Mr Trump taking fire at home from two sides: those worried he is provoking a damaging trade fight, and those who fear he will give in too easily. Mr Trump, citing a large trade deficit and unfair rules in China, says the US is starting from such a bad position that the country stands to gain no matter what happens. But amid the sound and fury, what, if anything, is actually changing? At last month’s national conference on cybersecurity and informatization, China’s President Xi Jinping delivered another speech on building China into a national power in cyberspace. This is the third speech on the same theme given by Xi at a series of top-level national cybersecurity meetings since 2014. Defining and protecting China’s critical information infrastructure (CII) is one of the recurring issues mentioned at all three events. In his 2016 speech on cyber strategy, Xi highlighted that the priority sectors requiring CII protection are finance, energy, telecommunications, and transportation. He also called on the government to deepen research on CII protection and accelerate work on building a national CII security assurance system. In the most recent comments, Xi took a more nationalistic and authoritarian tone, closely tying CII protection to domestic cyber industry capacity building and consolidation and centralization of cybersecurity information collection platforms. He also urged regulatory authorities to supervise the implementation of CII protection policies and CII operators to take full responsibility for critical infrastructure cybersecurity assurance. Scholars and pundits in the West have become increasingly alarmed that China’s planned Belt and Road Initiative (B&R) could further shift the global strategic landscape in Beijing’s favor, with infrastructure lending as its primary lever for global influence. The planned network of infrastructure project—financed by China’s bilateral lenders, the China Development Bank (CDB) and the Export-Import Bank of China (CEXIM), along with the newly formed and multilateral Asian Infrastructure Investment Bank—is historically unprecedented in scope. But the B&R is only the natural progression of a global sea change in developing economy infrastructure finance that has already been under way for more than two decades. President Donald Trump’s long-awaited verdict on the Iran nuclear deal will land Tuesday afternoon, but the chances for a surprise seem slim. If Trump allows the reimposition of certain U.S. sanctions on Iran, the United States would be the first party to breach this major international agreement. If so, Trump’s decision would be at best reckless and at worse devious. Whether he understands it or not, his strategy could easily lead to another U.S. war in the Middle East — but this time without any European allies, which he will have irreparably alienated. The camp, thought to be the most likely target for a North Korean nuclear weapon should war occur, is south of the South Korean capital, Seoul, but if Kim Jong Un used the most powerful nuclear weapon likely in his possession, RAND expert Bruce Bennett estimates 715,000 South Koreans and Americans would die in the blast. To add some perspective to his analysis, Bennett estimated causalities from a two-kilogram biological weapon — up to 85,000. deaths — and up to 110,000 deaths from a one-ton chemical weapon. Yes, up to 85,000 deaths from two little kilograms of a biological agent. After largely withdrawing from Africa in the wake of the Soviet collapse, Russia is starting to return to the continent in surprising ways. Since December, Moscow has struck major deals in the Central African Republic (CAR) with the government and rebel leaders, raising questions about its intentions in the troubled African nation. In December, Russia asked the U.N. Security Council to let it supply weapons to CAR’s new EU-trained army. After some objections by France, Russia secured an exception to the U.N.arms embargo, and began shipping weapons in January. By year’s end, Russia intends to deliver 5,200 rifles, a variety of other light weapons, and some 170 civilian instructors. Technological advances that allow oil producers to extract crude oil from shale rock formations have reshaped the landscape of U.S. oil production over the last 10 years. Since 2008, shale oil production has increased from around 450,000 barrels per day (bpd) to over 5 million bpd and now accounts for more than half of total U.S. crude oil production. This increase in production is unmatched on a global scale: In 2017, the U.S. became the largest oil-producing country with an average of 14.6 million barrels per day of crude oil, petroleum, and biofuels, 2 million barrels per day more than Saudi Arabia. They say the pen is mightier than the sword. However, what they often fail to mention is that the pen is even mightier when it comes with massive amounts of leverage, influence, and power backing it up on every stroke. President Donald Trump continues to express enthusiasm for a summit meeting with North Korean leader Kim Jong Un despite growing signs in the past few days that the summit will be delayed or may not happen at all due to Pyongyang’s latest recalcitrance. The U.S. president has not abandoned hope that he will be able to pull off the deal of the century even if it now leaves him open to being stood up. If the summit meeting proceeds at all, the United States will go in from a position of strength. The inaugural Lowy Institute Asia Power Index, released this month, finds that the United States remains the preeminent power in Asia — in large part because it retains the most powerful military force and a network of allies in the region. The index ranks 25 countries and territories in terms of their capacity to influence regional events. In the largest comparative assessment of its kind, we evaluate states’ military capabilities and defense networks, economic resources and relationships, diplomatic and cultural influence, resilience, and future trends. Yet the U.S. position in Asia also faces significant challenges. Pyongyang’s brash nuclear-fueled confidence has distracted Trump from the real Asian story. After all, North Korea is a misfit middle power, ranked only 17th in the Asia Power Index. Its power is concentrated in one instrument — a nuclear arsenal that it cannot use without provoking retaliation that would end the regime. Trump has shrunk the White House’s Asia policy to the dimensions of North Korea. His singular focus stands in stark contrast to his administration’s national security and defense strategy papers, which emphasize China as the true peer competitor of the United States. 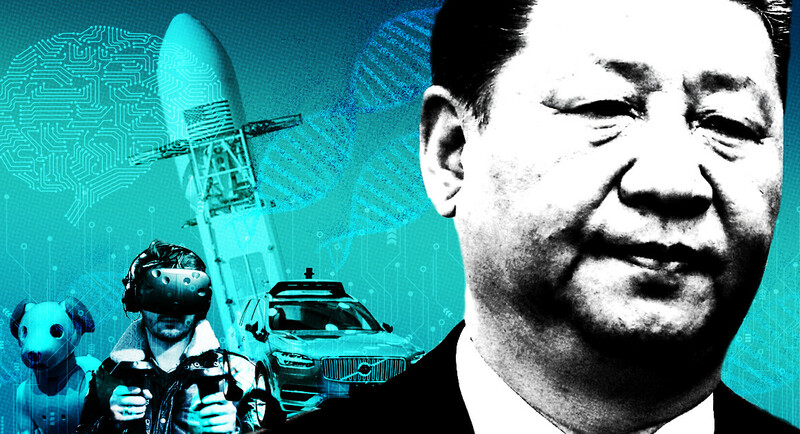 The president’s approach to his Chinese counterpart, Xi Jinping, as with several other authoritarian strongmen, has oscillated between the transactional and the acquiescent. Ultimately, Trump’s unorthodox worldview undercuts Washington’s ability to compete effectively against Beijing in the Asian power game. China is closing in fast on the United States. By 2030, China’s GDP in purchasing power parity terms is forecast to be almost twice as big as that of the United States. While U.S. military commitments are spread across the globe, China can concentrate its resources on its near abroad. As Adm. Philip Davidson, tapped to lead U.S. Pacific Command, acknowledged in his recent confirmation hearings, the People’s Liberation Army Navy is now capable of controlling the South China Sea in all scenarios short of a war with the United States. For now, China is unlikely to choose a fight with the most powerful military force in Asia. Instead, it is playing a long game, hoping the United States will eventually become weary of its Asian commitments. The Asia Power Index demonstrates that Beijing has been successful at competing with Washington below the threshold of conflict. The Belt and Road Initiative and other projects play to Beijing’s strengths as the primary trade partner — and main source of foreign assistance and lending — in the region. Yet the United States still remains preeminent in Asia, thanks in large part to its regional alliances. Defense networks are a cost-effective force multiplier. China has only one mutual defense treaty in the region — North Korea — and it is hardly reliable. Beijing eschews traditional alliances but has so far had limited success with its defense diplomacy despite its alleged interest in gaining enhanced access for its navy to bases and ports in the region. In addition, China has ongoing boundary disputes with many of its neighbors, several of which, such as India and Vietnam, are deeply distrustful of its intentions. China’s soft power has hardened in recent years. But promises of the Chinese dream are still no match for America’s appeal in the region, as evidenced by the half-million Asian students choosing to attend U.S. universities each year compared with the tens of thousands enrolled in China. Independent U.S. newspapers and broadcasters — lambasted by Trump as “fake news” — constitute the most popular foreign media in all the countries covered by the Asia Power Index. China has spent billions of dollars on its state-owned media offensive abroad but has achieved only a fraction of this success. For decades, Trump has shown himself to be allergic to free trade agreements and hostile to alliances. Yet these are the pillars of U.S. power in Asia. His policies in these two fields now threaten America’s standing in the region. Washington’s withdrawal from the Trans-Pacific Partnership was self-destructive. The threatened use of tariffs as a means of furthering U.S. economic foreign policy will only exacerbate what is already a weakness of U.S. power in Asia — its economic relationships. By virtue of its lower trade-to-GDP ratio, China is more insulated from escalating trade tensions than most other Asian economies. The biggest victims of U.S. economic nationalism and escalating trade tensions will be other Asian economies that are more reliant on global trade and the World Trade Organization’s rules-based system that Washington has long championed. With global production chains spanning across Asia, then, a trade war with China would amount to a trade war with Asia. Finally, Trump’s long-held alliance skepticism is raising fears that he could yet undermine the credibility of U.S. security commitments in Asia, particularly extended nuclear deterrence. North Korea’s recent moves make it even clearer that the prospect of full denuclearization is off the table. One concern is that any deal with North Korea might therefore focus on Pyongyang giving up its intercontinental ballistic missile capability, which threatens the U.S. homeland, but would fail to resolve the security concerns of regional allies. The long-term presence of U.S. troops on the Korean Peninsula has also been brought into question. Last month, Defense Secretary James Mattis caused international alarm when he said changes to U.S. force posture in South Korea would be discussed with Kim. The administration has denied reports that Trump had requested that the Defense Department prepare options for drawing down troop numbers. However, the president’s personal instincts clearly favor retrenchment. “At some point into the future, I would like to save the money,” he said recently. A relocation of U.S. forces could conceivably be used to rebalance and consolidate U.S. defense commitments in the region in a way that offers greater security for U.S. allies and friends. But given Trump’s inclinations, it seems far more likely that it would only enable broader U.S. disengagement from the region by trading away security interests in return for a narrow peace dividend. For seven decades, a formidable U.S. military presence in Asia has underpinned regional stability. The United States has kept a lid on interstate friction, encouraged economic liberalism, and maintained an open regional order that has allowed the rise of successive Asian countries. Now, just when a challenger is rising fast up the index of Asian power, America’s president seems unconvinced of the value of leading in Asia at all. Cisco Systems Inc (CSCO.O) on Wednesday warned that hackers have infected at least 500,000 routers and storage devices in dozens of countries with highly sophisticated malicious software, possibly in preparation for another massive cyber attack on Ukraine. Cisco’s Talos cyber intelligence unit said it has high confidence that the Russian government is behind the campaign, dubbed VPNFilter, because the hacking software shares code with malware used in previous cyber attacks that the U.S. government has attributed to Moscow. 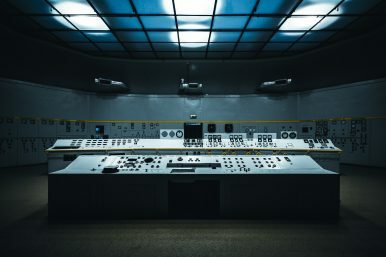 Cisco said the malware could be used for espionage, to interfere with internet communications or launch destructive attacks on Ukraine, which has previously blamed Russia for massive hacks that took out parts of its energy grid and shuttered factories. On June 12, 1987, Pres. Ronald Reagan stood at the Brandenburg Gate separating East and West Berlin. In a memorable speech, he said to the leader of the Soviet Union, "General Secretary Gorbachev, if you seek peace, if you seek prosperity for the Soviet Union and Eastern Europe, if you seek liberalization, come here to this gate. Mr. Gorbachev, open this gate. Mr. Gorbachev, tear down this wall!" In the years to follow, the Cold War between the U.S. and the Soviet Union began to thaw. Gorbachev's program of "perestroika" ("restructuring") and "glasnost" ("reform") led to democratic reforms and improved relations with the West. Communist governments were swept out of Eastern Europe and in November 1989, the Berlin Wall finally came down. The situation between the US and North Korea remains tenuous and characterized by uncertainty. 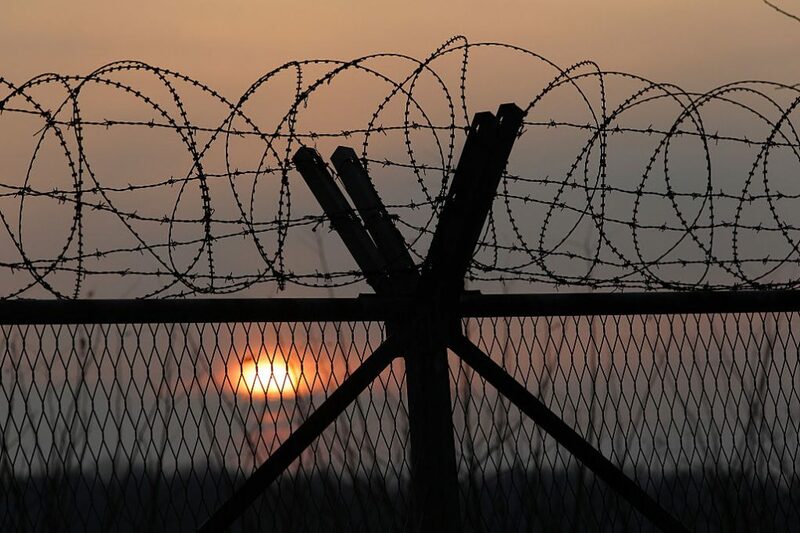 North Korea’s cancellation of the upcoming summit with South Korea over the recent US/South Korean joint military exercises underscores the fragile nature of the proposed talks between the two countries. While the United States Department of State continues to prepare for the June 12 meeting between the US and North Korea, President Trump, speaking to reporters on Tuesday in the Oval Office said the summit “may not work out”. As recently as March 2018, Vice President Pence stated that “all options on the table”. Among those options are of course the US Military, including Special Operations Forces, who would no doubt play a critical role in any US Military involvement on the Korean Peninsula. Donald Trump’s planned summit meeting with Kim Jong Un is still days away but the American president has already stirred things up by warning the North Korean leader of “total decimation,” in the way Libyan strongman Muammar Qaddafi met a gruesome end, “if we don’t make a deal.” Even if that threat were to frighten Kim into agreeing to a deal, he has no assurance that Trump will keep his end of the bargain. Trump’s record, after all, attests to his proclivity to renege on commitments. SOFIC Tampa: The head of the Special Operations Command is concerned that even the most advanced tech his troops use in the field today is being aged out, given rapid advances in commercial technologies that have overtaken military-grade gear. “The equipment that SOF have should already be considered ‘legacy gear,'” Gen. Tony Thomas told the conference here today. He called for a wholesale change in how equipment is developed and modernized: “Incremental improvements are no longer enough.” The entire three-day event here — which once focused in large part on operations around the globe — has been reborn around the theme of rapid acquisition and finding small, non-traditional companies which which to do business. The push to rapidly identify and buy new technologies mirrors a similar effort across the Pentagon, which is rushing to modernize after years of flat budgets while spending tens of billions a year on wars in Iraq and Afghanistan. That includes phones, smartwatches and other devices that can transmit, store and receive data. The Defense Department on Tuesday issued a sweeping electronics policy banning personal and government-issued mobile devices from secure spaces within the Pentagon. The new rules bar all military personnel, government employees, contractors and visitors from bringing internet-connected devices into areas of the Pentagon where classified information is processed, handled or discussed, according to a memo first reported by The Associated Press. The rise of interest in artificial intelligence and machine learning has a flip side. It might not be so smart if we fail to design the methods correctly. A question out there — can we compress the reality into measurable numbers? Artificial Intelligence relies on what can be measured and quantified, risking an over-reliance on measurable knowledge. The problem with many other technical problems is that it all ends with humans that design and assess according to their own perceived reality. The designers’ bias, perceived reality, weltanschauung, and outlook — everything goes into the design. The limitations are not on the machine side; the humans are far more limiting. Even if the machines learn from a point forward, it is still a human that stake out the starting point and the initial landscape. A 2017 Newsweek report revealed that the U.S. Army lost more than $1 billion worth of weapons in Iraq and Kuwait due to lax controls and record keeping. This problem is not unique to the Army; the challenge of tracking goods has dogged military operations since Roman times. When there are thousands of troops and hundreds of thousands of shipments on the move, getting assets from Point A to Points B, C, and D, is a logistical nightmare. 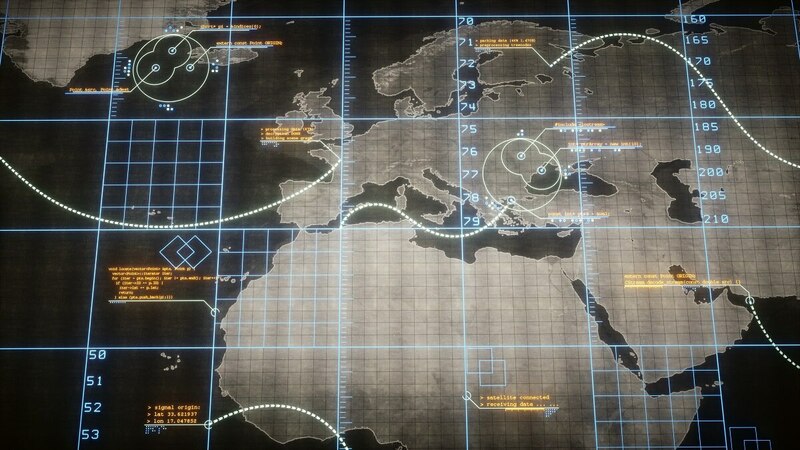 Every military in history has tried to improve logistics tracking, but it grows more complex with every new theater of operation. The introduction of active RFID (aRFID) tags was a major step forward in knowing where a shipment is, but that doesn’t mean you know when it will arrive. Drones Don’t Wear Uniforms. They Should. The video from Gaza starts with a just-visible multirotor drone juxtaposed against a remarkably blue sky. A group of TV journalists in blue helmets stand at the bottom of the frame, looking up at it. It hangs there for a second, and then tear gas canisters fall from it, issuing waving tails of white smoke. The canisters come to earth immediately in front of the cameras, and the reporters begin to run in all directions, coughing. The camera looks to the blue sky again, and the little black dot recedes, mysteriously, into the distance.